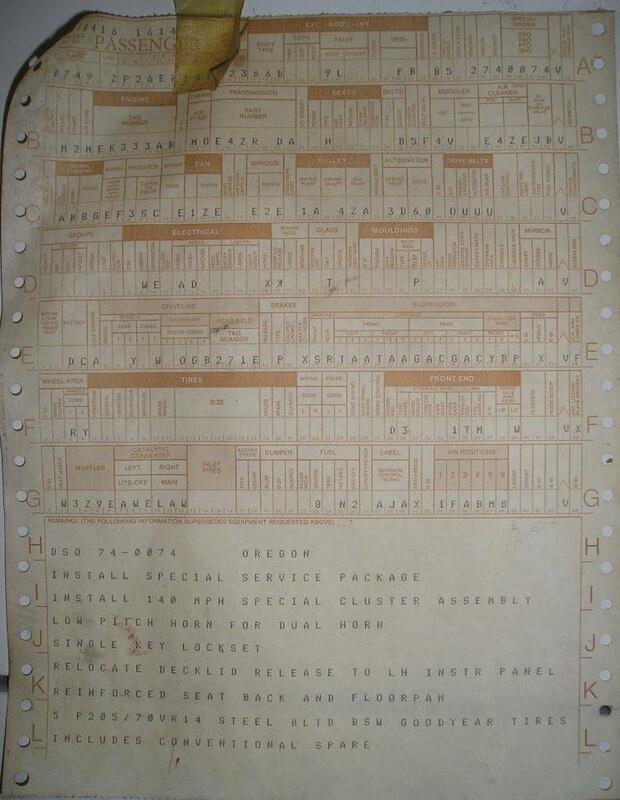 A buildsheet, sometimes referred to as a "traveller", accompanied each Mustang down the assembly line as it was being built. 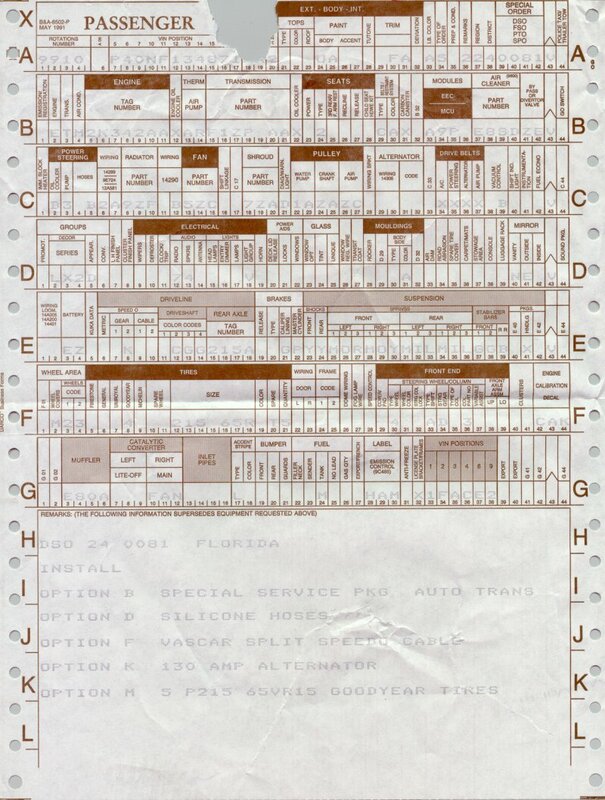 Buildsheets list very specific information about the car, including certain options that were to be installed by the assembly-line workers. SSP builds list the agency that ordered the car, in addition to the other options assigned to the car, just like any other regular-production Mustang. 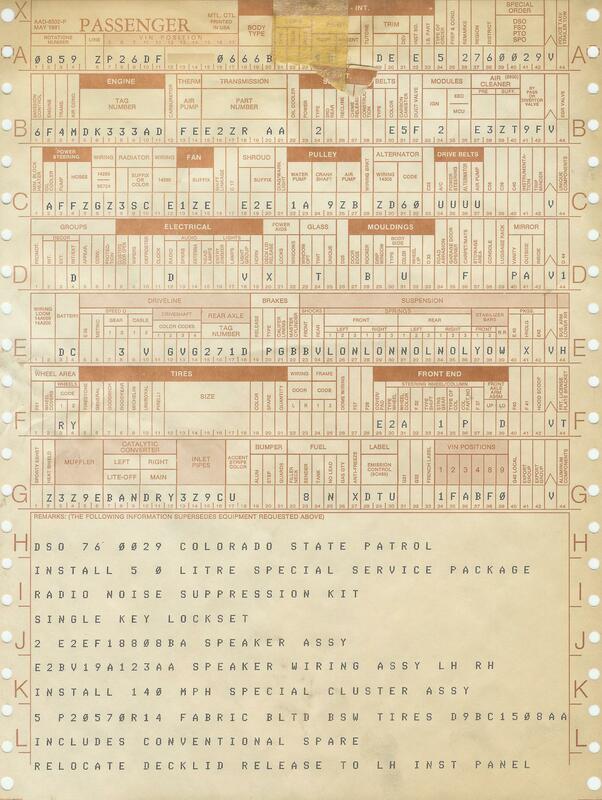 Some SSP sheets have agency-specific instructions listed in the comments section at the bottom (or were printed entirely on the back side of the sheet). 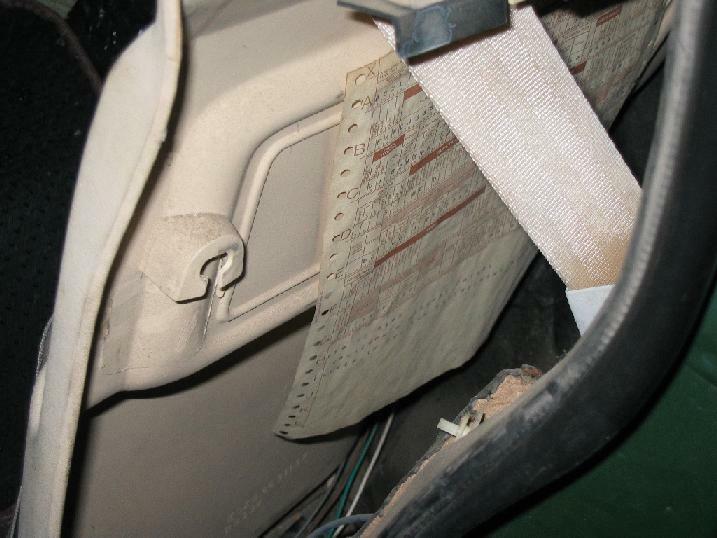 Buildsheets have been found in various places in the SSP cars, including behind the inside rear trim panels, underneath the carpet on the floorboards, and under the rear seat. 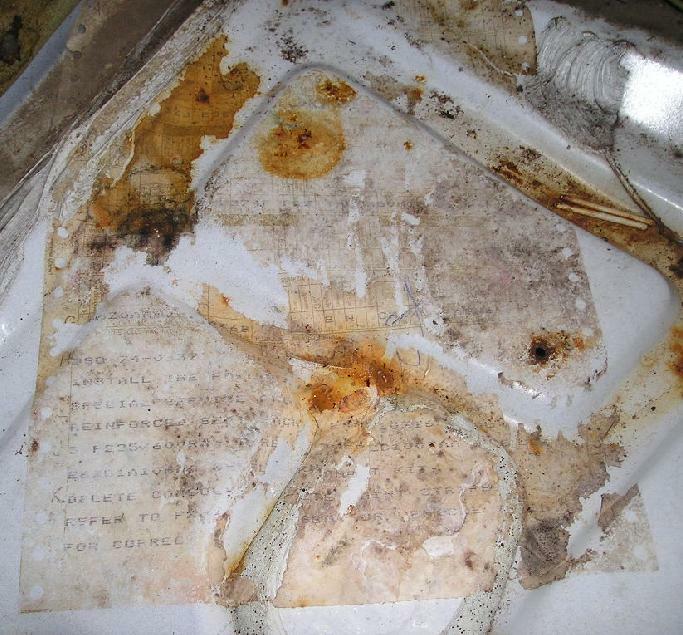 It appears that the placement of the sheets by Ford workers was somewhat random, and it is very rare to have a sheet survive and be found by a collector. 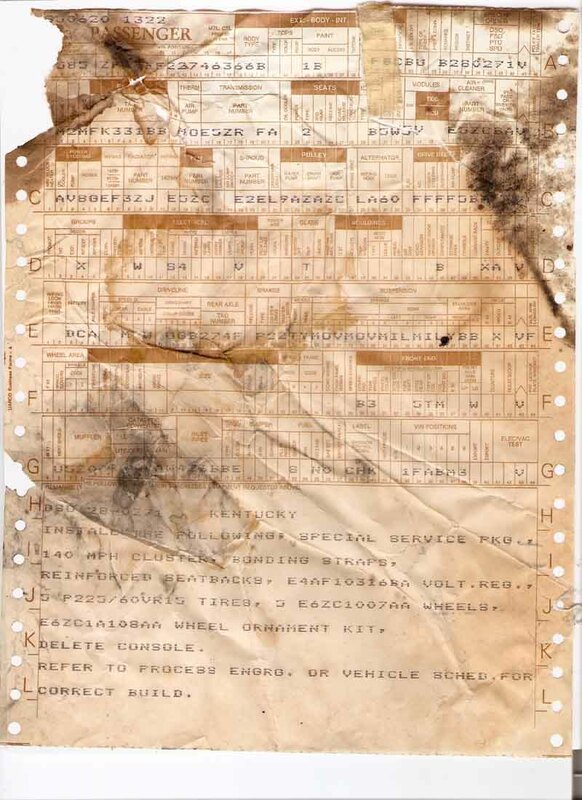 Many of the cars were modified by the ordering agencies, and buildsheets either discarded or lost along the way as the cars were being outfitted. Additionally, many of these cars were purchased and modified after service and have been through numerous owners. 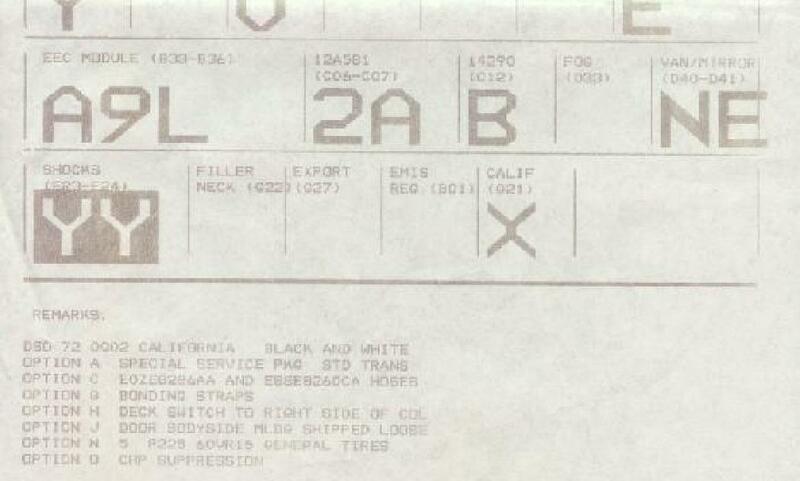 Buildsheet in 1982 CHP Mustang, still taped in place behind the driver's side rear interior trim panel. 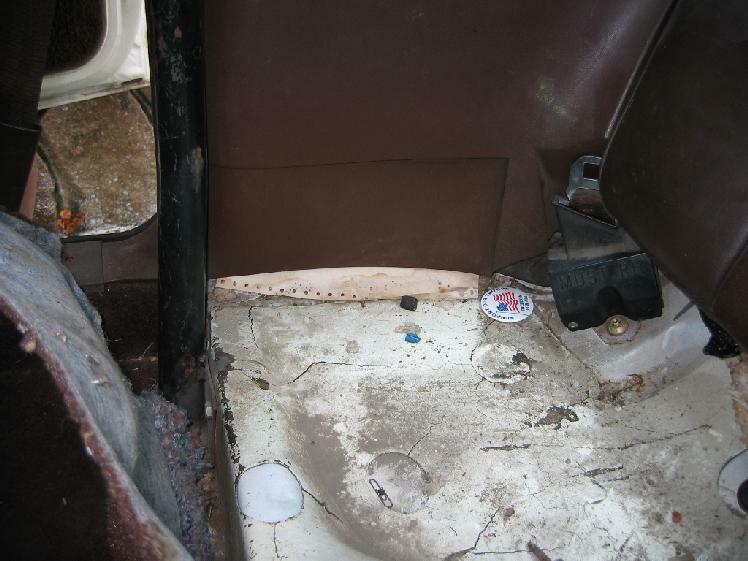 One of two buildsheets, still sitting behind the trim panel, 1983 Colorado State Patrol (rotation next to this car). 1983 Colorado State Patrol (the actual build), this one was still taped up when located (passenger-side rear interior panel). 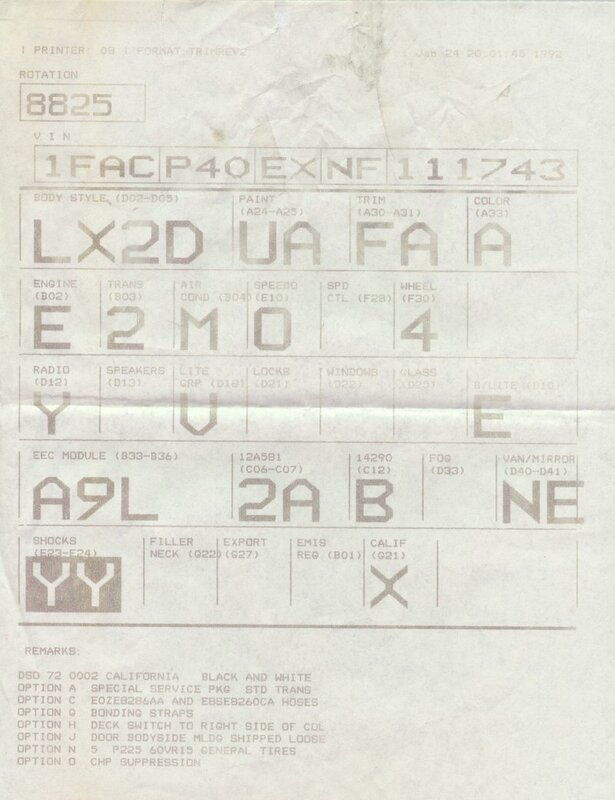 Buildsheet from a 1992 Florida city SSP, found under the rear seat. Another shot, rear of the buildsheet. 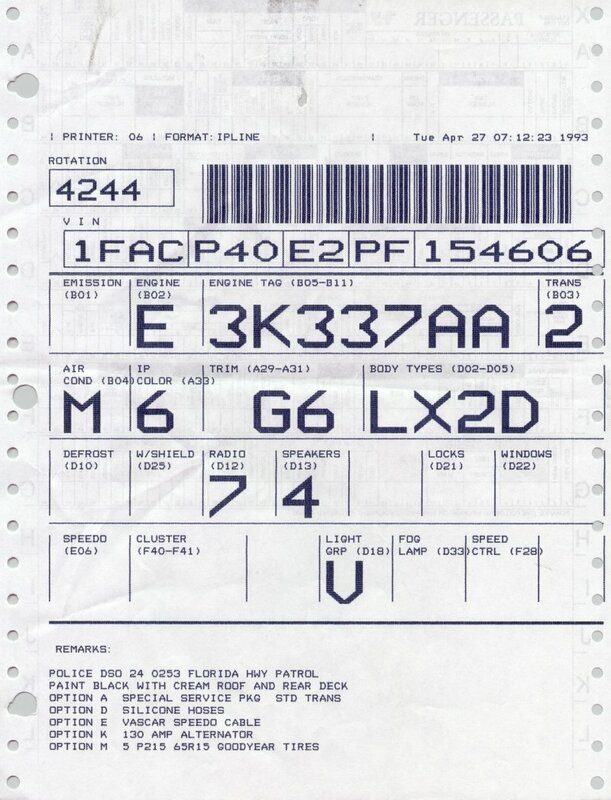 1992 CHP Buildsheet, also printed on the back. Another shot, some specific CHP options listed. 1992 Florida Highway Patrol unit. 1993 Florida Highway Patrol unit.